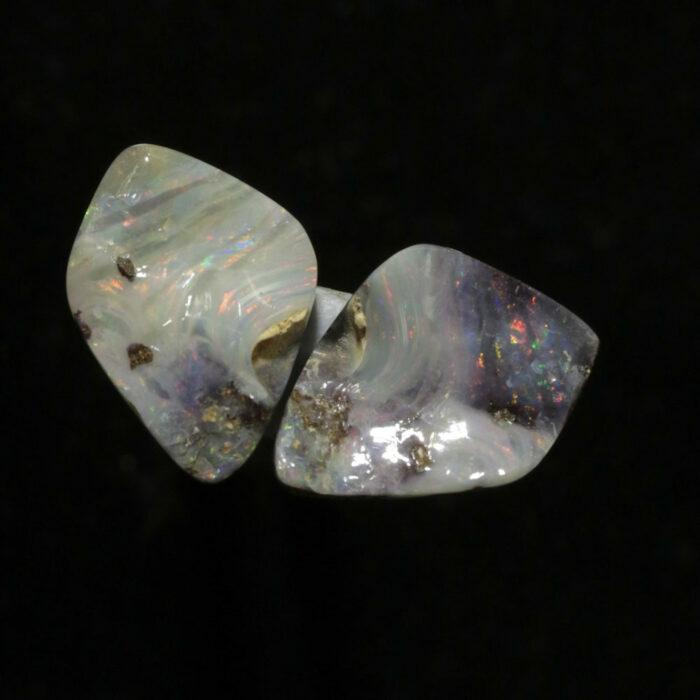 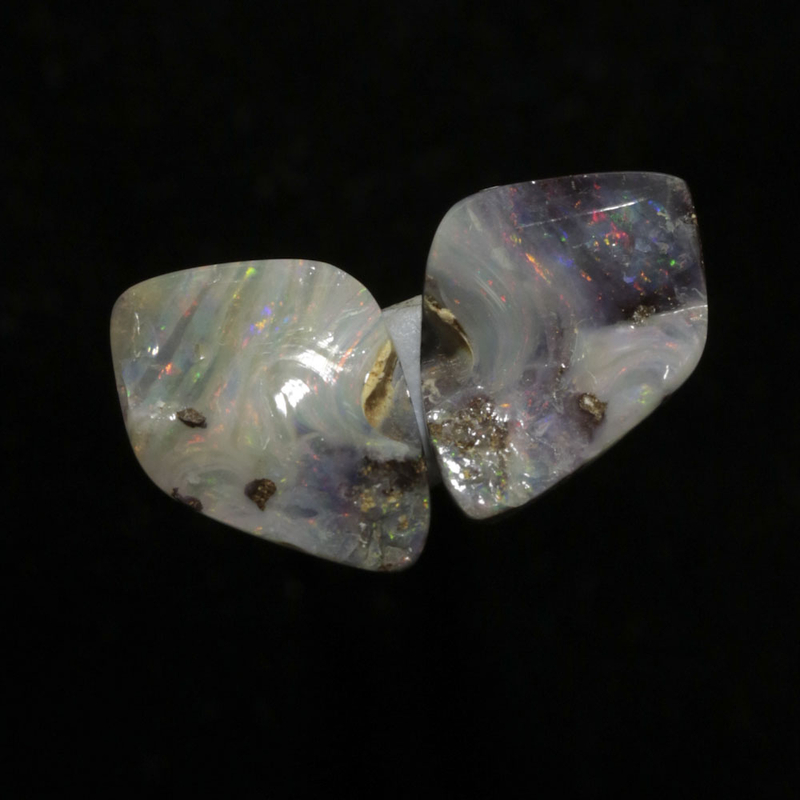 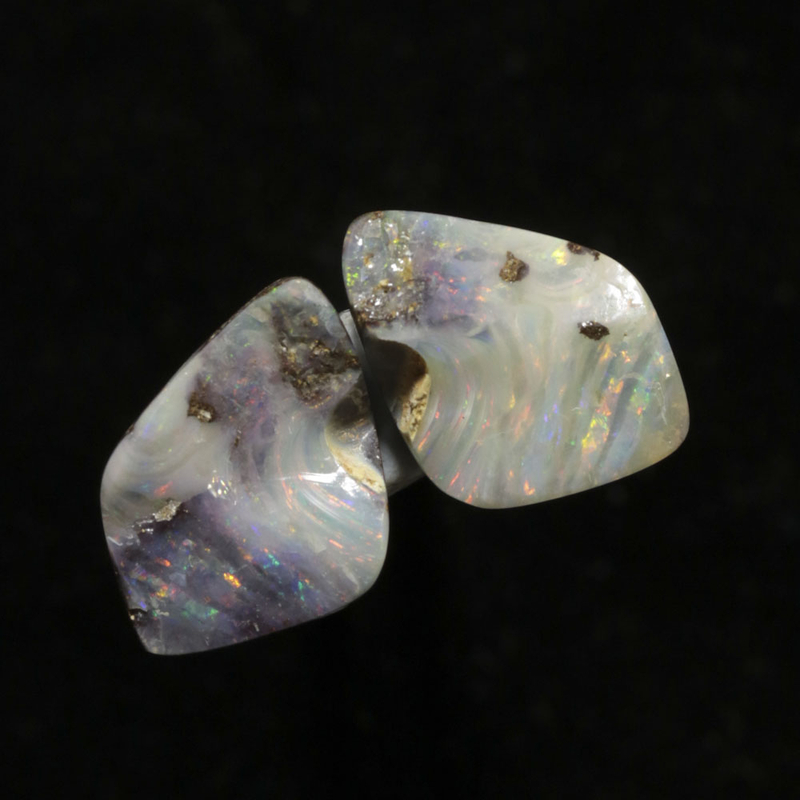 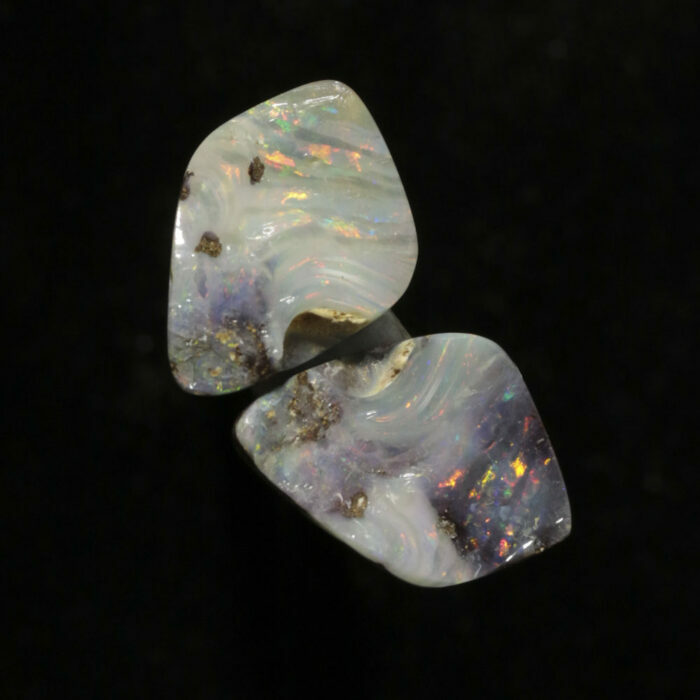 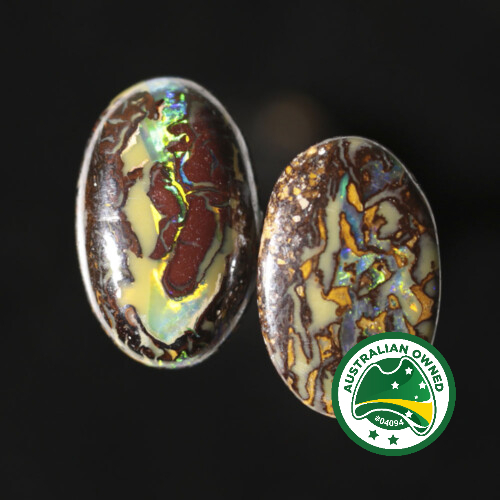 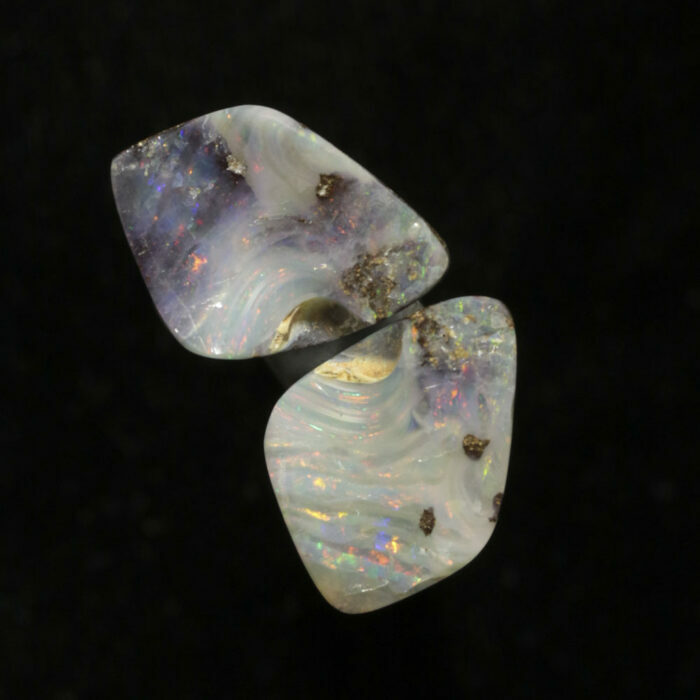 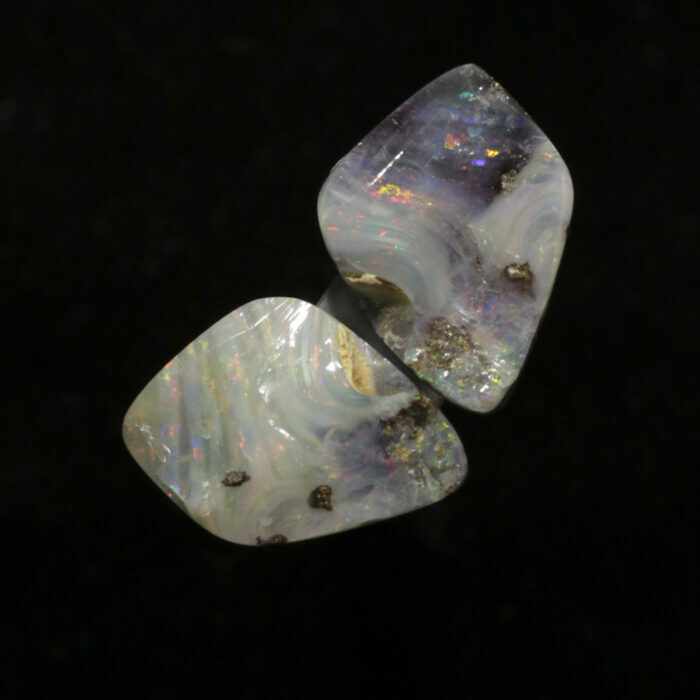 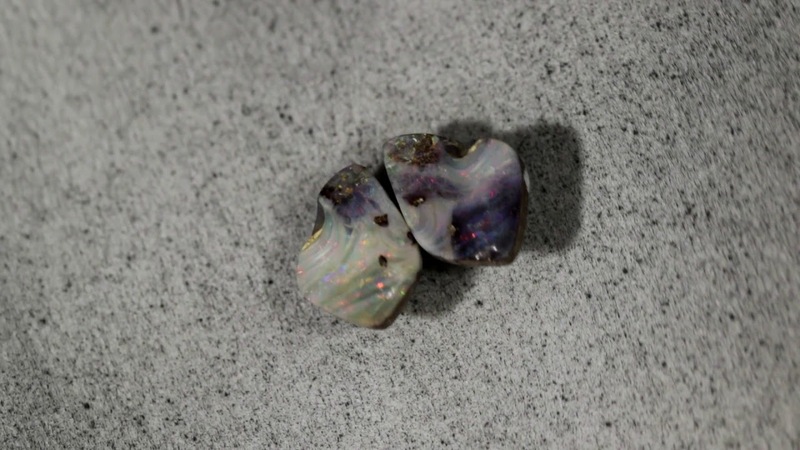 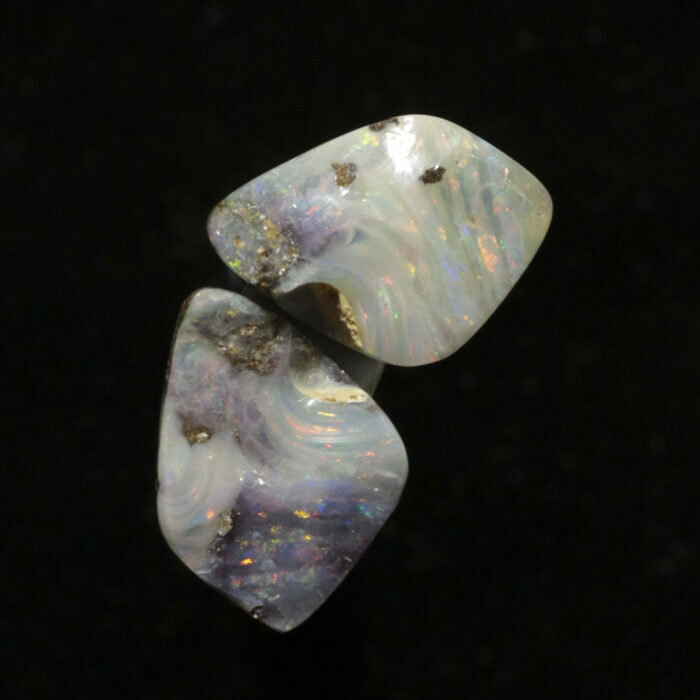 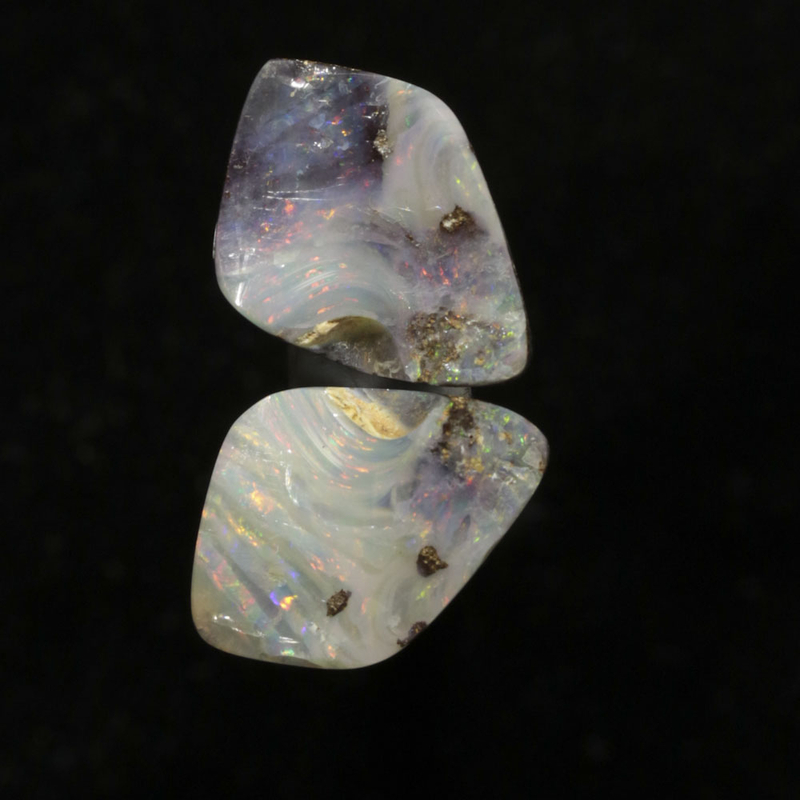 Matched split pairs of boulder opal. 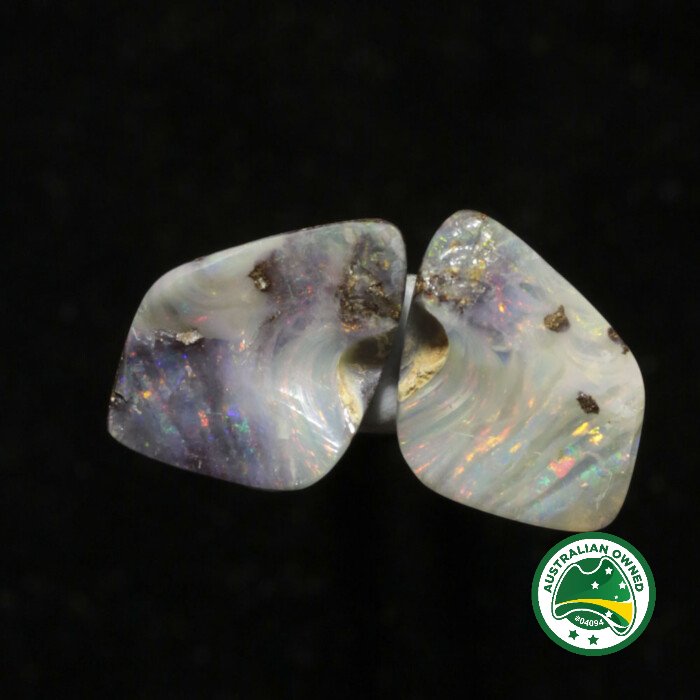 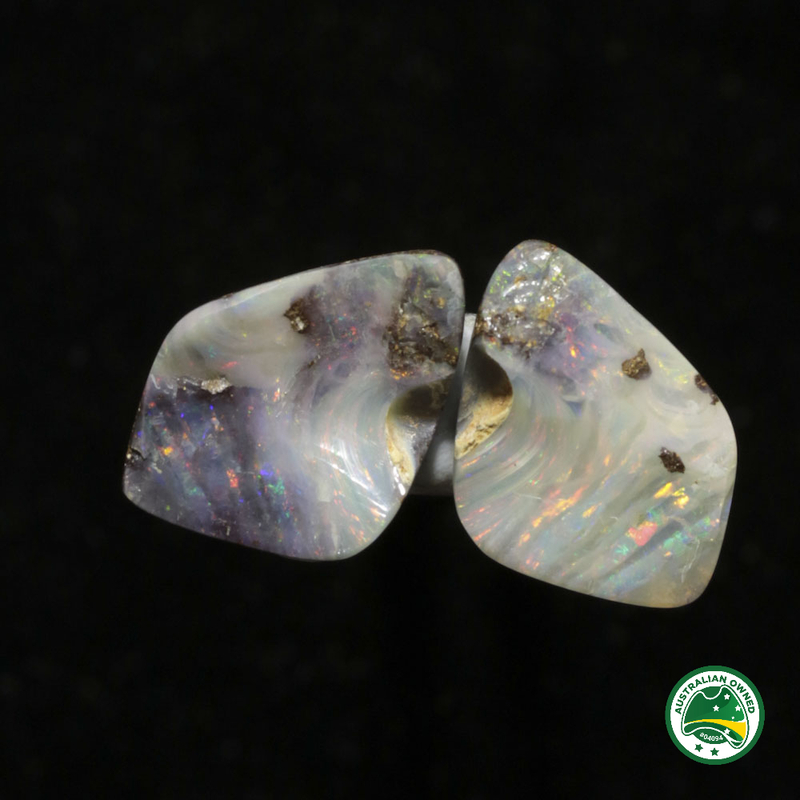 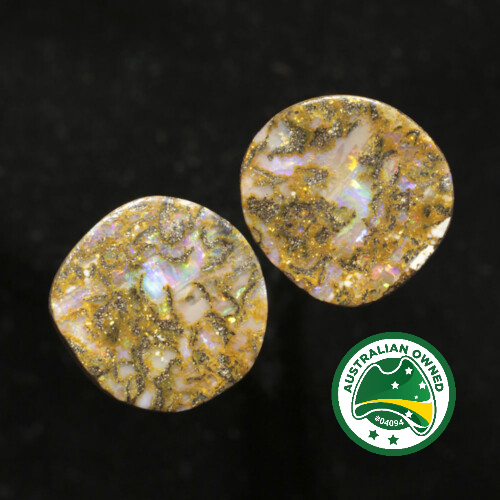 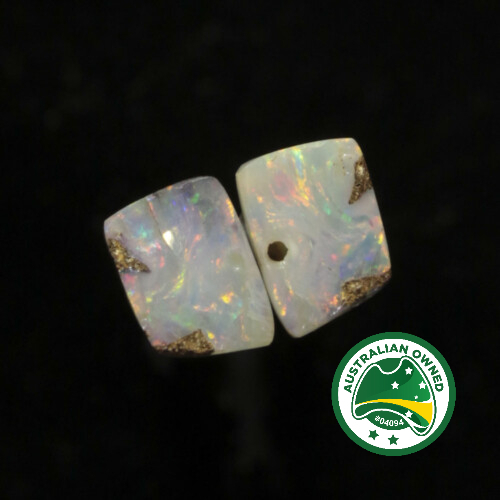 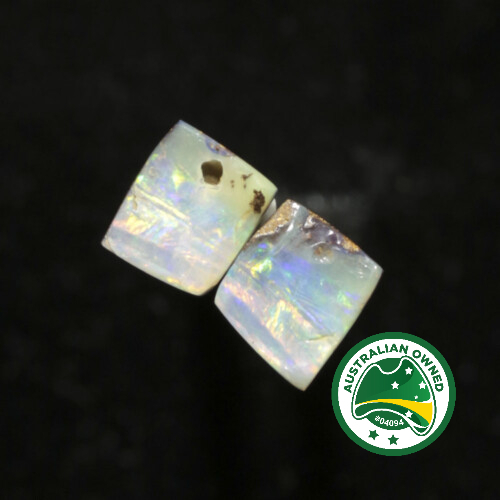 These have a natural split stone face with a polished back. Whiter in colour than depicted here with lovely red shimmer and a touch of green..